“Dovey” is always ready! Seventy, but is she tough! The tempest whines. Huge breakers crash upon the shore. And all who can, seek shelter from the black-out and the storm. 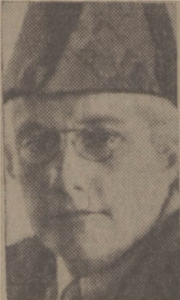 But one lone figure remains – the figure of Miss “Dovey” Pettit. Little Old Lady of the Wrecks. Clad in man’s trilby, gum boots and sou’wester, this seventy-years-old woman stands waiting for the lifeboats to land their human salvage. Then she gets busy. Steaming drinks, hot baths, dry clothes, she prepares them all, and soon the men who have looked death in the face begin to smile again. Today I met this Florence Nightingale of the Storm and, helped by local fishermen pieced together the story of her years of service to seafaring men. Since then hundreds of seamen from dozens of foundered vessels have had cause to thank the kindly, white-haired soul who has come to their aid. I can’t report what she has done during this war. Censorship forbids. But many a night the old lady has risen from her bed and made her way through the inky black-out to the look-out station in answer to the alarm. Not even the blinding flurry of a snowstorm kept her from her post. Take one wreck that occurred within the past 12 months. 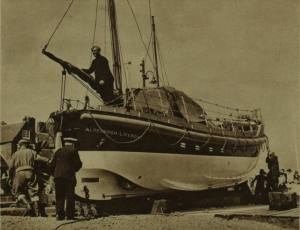 From Aldeburgh’s two lifeboats 80 men, soaked to the skin, some of them fainting from exposure, were landed. 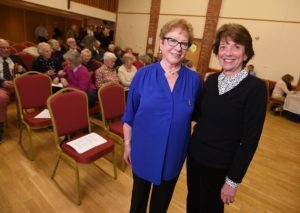 The old lady met them all and in no time escorted them to a local hall. Baths were provided; food, too. But clothes. That was the problem. Miss Pettit only had clothes for seven or eight men, that being the number for which she usually had to cater. Aldeburgh answered her call and within an hour she had more than enough garments. The old lady is regarded by tough local fisherman as one of themselves. They all call her “Dovey”, her childhood nickname. 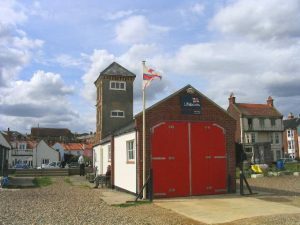 Among the lifeboat families of England, the Cables, of Aldeburgh, In the County of Suffolk, are outstanding. For over a hundred years five generations have given practically unbroken service, and have helped to save 413 lives. 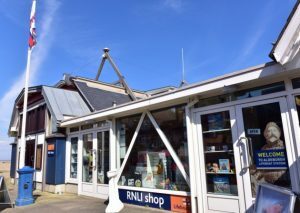 There was a Cable in the very first crew of the Aldeburgh lifeboat in 1824. and there are four to-day, with others, on the waiting list. The first two Cables, father and son, were drowned on service, one of them while swimming through rough seas with a line to a grounded ship. Although he lost his life, he was able to get the line on board, and by means of it seven men were saved. Perhaps the most famous of the family was James Cable, coxswain from 1887 to 1917. and still alive, despite his many thrilling adventures in stormy seas. Three times he was awarded the silver medal of the Lifeboat Institution for his gallant services, and in addition, received awards from the ex-Kaiser and the Norwegian and Finnish Governments. 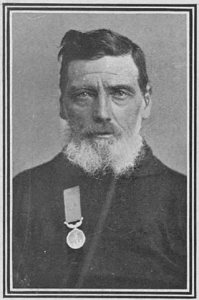 Apart from his lifeboat rescues (says the London “Daily Chronicle”), he has been instrumental single-handed in saving eleven people from drowning, and holds the Royal Humane Society’s medal and certificates for these services. One of his greatest feats – though it did not result in his saving any lives – was on January 5, 1881. when he took his boat through 90 miles of a raging winter storm in search of two wrecked ships. In each case lifeboats from stations nearer at hand succeeded in rescuing the crews before he arrived. 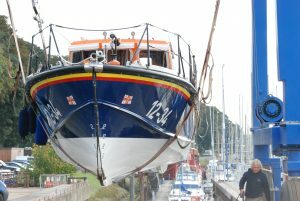 Another Cable, Robert, retired last year after 45½ years’ service, during which he had a share in the saving of 170 lives. Three members of the fourth generation .are in the crew to-day. “Already one of the fifth generation (one of James Cable’s three grandsons) is serving, and another, 12 years of age, is only waiting till he is old enough. 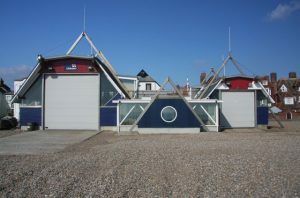 It was to Coxswain Cable and two others that the governing body of the Royal National Lifeboat Institution entrusted some years ago the very responsible duty of selecting the best type of boat for service during the 17 year he has been coxswain of the Aldeburgh lifeboat, having taken part in saving 300 lives from shipwrecks. 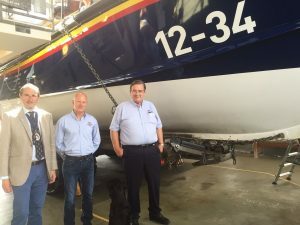 This total was reached on Whit-Monday, when, during the regatta, Cable saved four men who were capsized from one of the sailing boats taking part in the racing. The Mayor, appreciating his prompt action, made a presentation to Cable, who already possessed a medal with two clasps from the National Lifeboat Institution, another from the King of Sweden, and a third from the Royal Humane Society, whose parchment he also holds. His other presentations include a watch from the German Emperor.